With the success of the illustrated edition of ‘Ender’s Game’ in October, Centipede Press is considering publishing another Enderverse novel or collection. In a newsletter Sunday morning, the publisher asked fans which Enderverse novel to publish next. 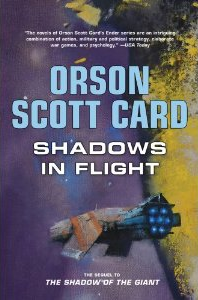 According to the newsletter, ‘Ender’s Game’ author, Orson Scott Card, has suggested picking a novel from either the Shadow series or First Formic War series. Card also suggested publishing a complete collection of Ender short stories. What Enderverse material would you like to see published by Centipede Press? Leave a comment below! The long-awaited revised ‘Ender’s Game’ edition has been postponed. Fans have anticipated this revised editions for years. When Card’s wife solicited help on Hatrack, it seemed as though the book would be published soon. However, months have passed with no release date. Therefore, the revised ‘Ender’s Game’ edition was originally planned to be published this season, but has been pulled for unknown reasons. Of course this could be held as good news. Now Card has more time to collect corrections. If you wish to submit a correction, click here. In tradition with recent years, ‘Ender’s Game’ author Orson Scott Card is offering signed, personalized copies of ‘Ender’s Game’ for sale via a Greensboro Barnes & Nobles location. 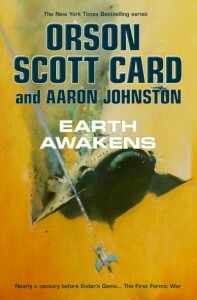 In addtion to ‘Ender’s Game’, this year ‘Earth Awakens’, ‘Ender’s Game’ and ‘Speaker for the Dead’ will also be offered for sale. Local residents can stop by the bookstore at Friendly Center. These orders will be taken through Dec. 22. Those gift givers who do not live close enough to Greensboro should email the store. According to Card, “Let them know the titles you want, the names you want them signed for, and the address to which the books should be shipped after signing. Include your phone number, too, because a store employee will call you to get credit card information (we don’t want you including credit card info in emails! ).” Remote orders will be accepted through Dec. 15. The full list of novels for sale is listed below. When the details for Centipede Press’s version of ‘Ender’s Game’ began to emerge, I knew the final product would be special. The artwork looked stunning, and Card’s original manuscript for the short story promised to be a cool relic. While I didn’t own a Centipede Press book, I knew the company had a great reputation for high quality and exceptional finish. The only issue? The price. Even for passionate book collectors, $295 is expensive. Collectible books generally aren’t read. Instead, they sit on the shelf, occasionally invoking a quiet smile from their owner. Paying $295 for that can be challenging, especially for the budget conscious. But for collectors – or even for big fans of a particular novel – $295 isn’t out of the question if the edition hits all of the right notes. 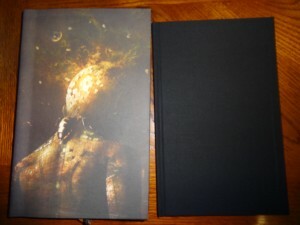 Centipede Press’s final product does hit all of the right notes. With this edition, Centipede Press has under-promised and over-delivered. Every detail, from the cover to the feel of the paper, is stunning. The artwork helps bring the story to life. The book is signed and unexpectedly numbered. 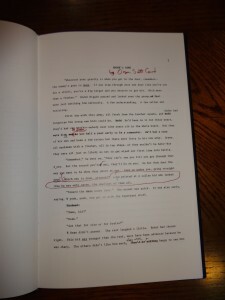 To me the best feature is Card’s original manuscript for the ‘Ender’s Game’ novella. The manuscript itself is fascinating, showing Card’s original edits on a version typed by his mother. My favorite part, however, is his cover letter to Analog (which shows Card’s sassy side) and his extremely-touching dedication to his mother. I’ve collected Card’s work for a long time. Centipede Press’s version of ‘Ender’s Game’ is the best version of the novel to date. (Take that, Easton Press!) But more notably, it is the best version of any of Card’s works to date. We can only hope for a limited edition of ‘Speaker for the Dead’! According to Centipede Press, there are about 15 copies of this edition still available for purchase. For $295 the set includes two volumes. The first volume contains a forward by Brandon Mull, an introduction by Card, Card’s original forward, the definitive version of ‘Ender’s Game’, an afterward featuring ‘Making Ender Smart’ by Card and select transcripts from ‘Ender’s Game Alive’. 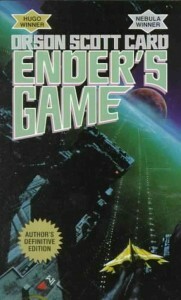 The second volume contains a letter to Analog from Card and Card’s original manuscript of his 1977 ‘Ender’s Game’ novella. See more pictures after the jump. If you have any questions about this edition, leave a comment below. 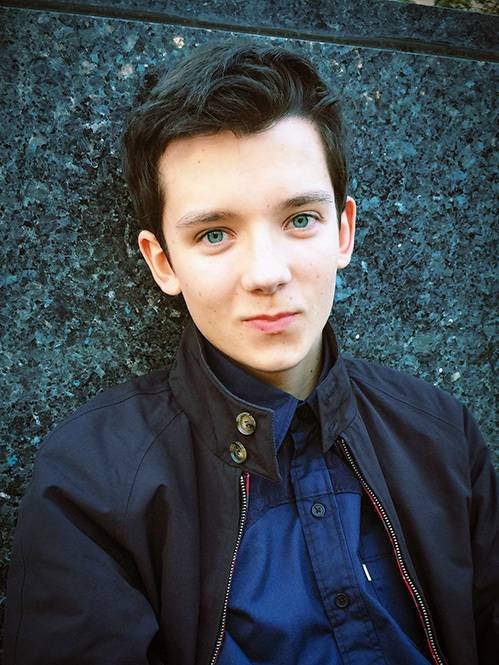 In an interview Morning Star News, Butterfield admitted that ‘Ender’s Game’ is his favorite film he’s worked on. He goes on to say that he liked that he got to do many things that he would never have been able to do in real in the real world, such has use harnesses to fly in the battle room. Watch the Butterfield’s full interview below. Ash Throp, a self-described “big fan” of ‘Ender’s Game’, worked on the ‘Ender’s Game’ as a freelance motion graphics designer. In an interview, Throp talks about how he worked his way onto the film and his role in bringing the adaptation to the big screen. In the interview, Throp said that his curiosity drove him to introduce himself to the art directors. He was later hired to work on the film’s user interfaces. Throp also describes how he carefully selected font and graphic choices for each frame. To read Throp’s entire interview and see sketches of his early user interface concept art visit ART OF VFX. A theater company in Finland has produced a a play based on ‘Ender’s Game’. The play premiered on September 27 and runs through December 20. It runs for 3 hours and 15 minutes, including two intermissions. For tickets and showtime information, visit their Facebook page. For readers who would like a taste of the experience, but do not live near Finland, check out production photos from their Instagram account. Lionsgate and Tribeca Enterprises have collaborated to create an online video streaming service, called the Tribeca Short List, for their films and films by other studios. Not much is known about the price of the services or other specifics, but the service is expected to launch during the first half of 2015. ‘Ender’s Game’, which was produced by Lionsgate, is likely to be among the films available for streaming. “The launch of the Tribeca Short List service unites two powerful brands and underscores our commitment to collaborate with blue-chip partners around the world to deliver premium content to online audiences,” said Lionsgate chief executive Jon Feltheimer. 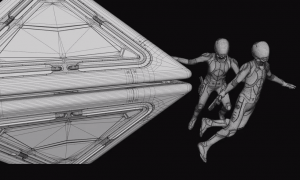 A new video from Digital Domain explains how 3D models were used make the ‘Ender’s Game’ film. Digital Domain is the visual special effects company that worked on the ‘Ender’s Game’ movie. Mårten Larsson, a visual effects supervisor for Digital Domain, explains in the video below the process of developing 3D models into fluid battle room scenes. He gives fans a look into how pre-production concepts and Digital Domain came together to develop key differences between human and formic designs. If you haven’t read ‘Ender’s Game: Inside the World of an Epic Adventure‘, this video is definitely worth the watch. This video was produced by Future Engerineers. Those interested can submit a 3D model to futureengineers.org for a chance to win a day at Digital Domain and a VIP Tour of SpaceX or the grand prize of a 3D print on the International Space Station. According to Centipede Press, the illustrated edition of ‘Ender’s Game’ by Orson Scott Card is nearly sold out. Centipede press said in an email Sunday that about 30 copies remain available for preorder. This special edition is limited to only 300 prints. Fans and collectors can still preorder the set for $295. The set includes two color-illustrated books. 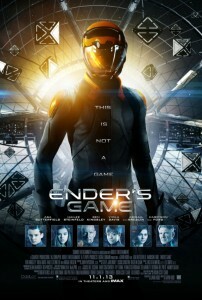 The first book will be the 1990s revised version of ‘Ender’s Game’. 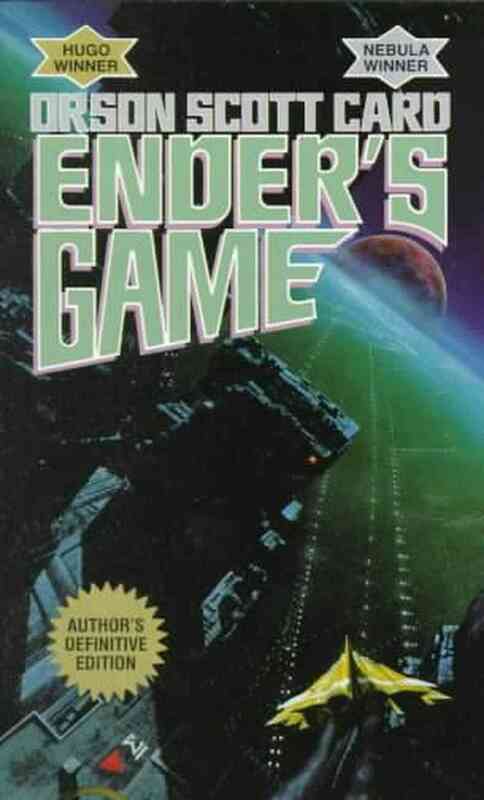 The second book will contain Card’s original typed manuscript of the ‘Ender’s Game’ novella from 1975. 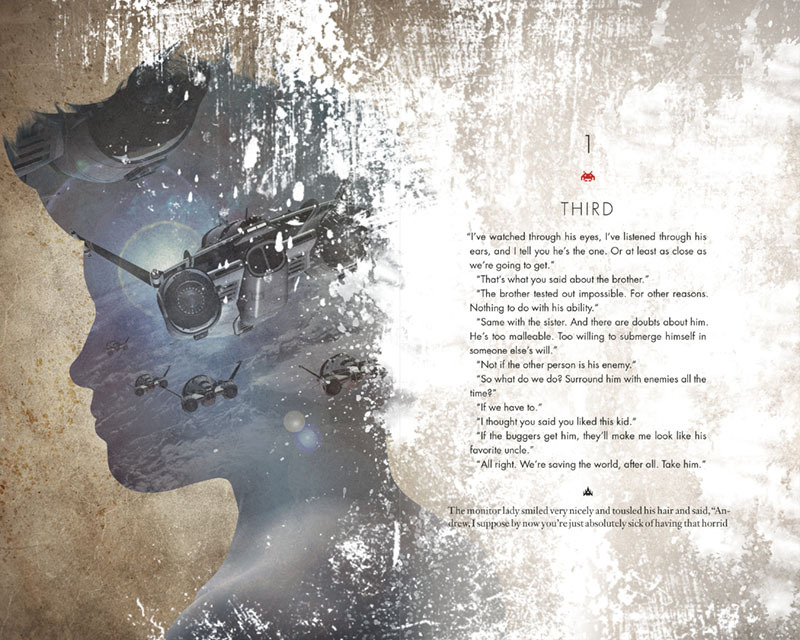 Each print will be signed by Card, Brandon Mull, who wrote the preface, and illustrator David Ho. For more information about this edition, click here. If you have already ordered your copy, Centipede Press expects to ship out orders this week.